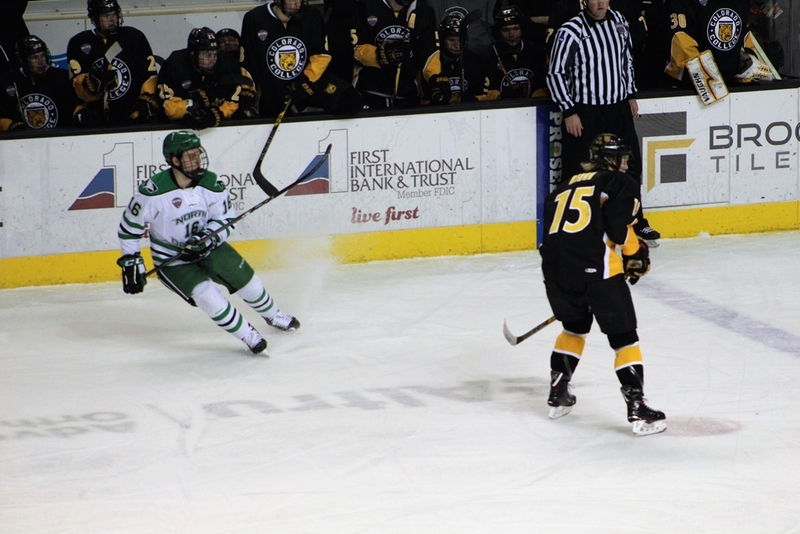 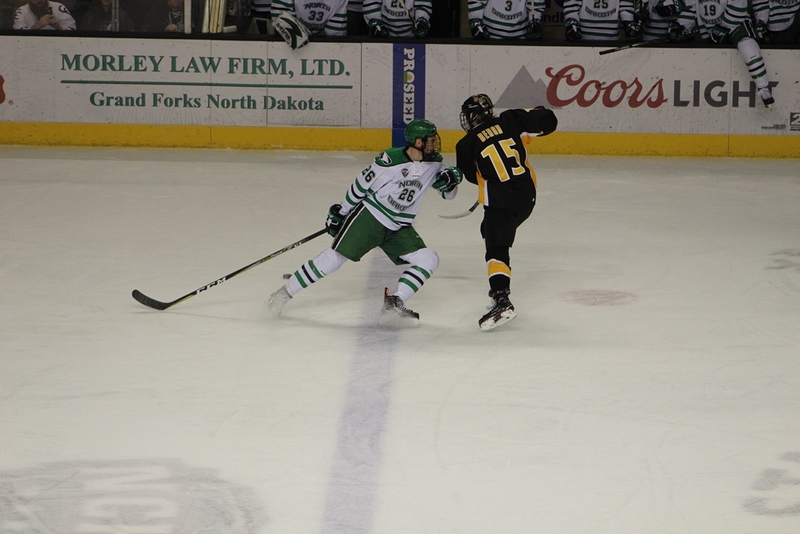 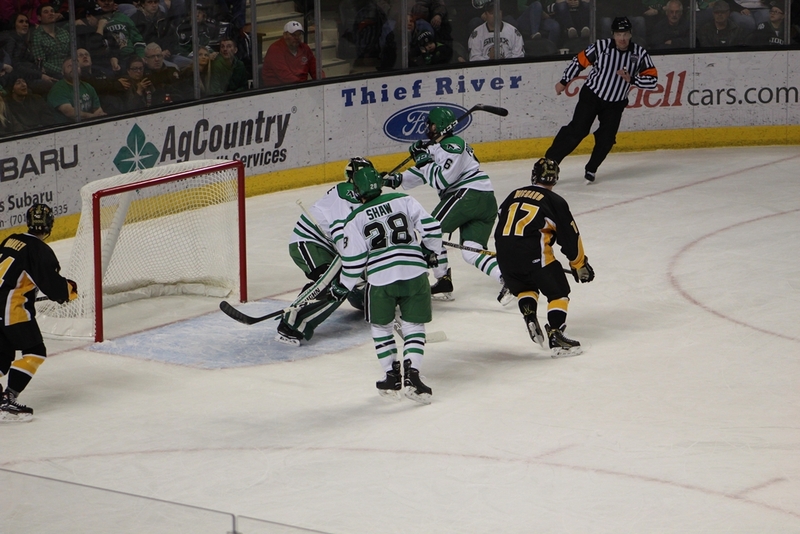 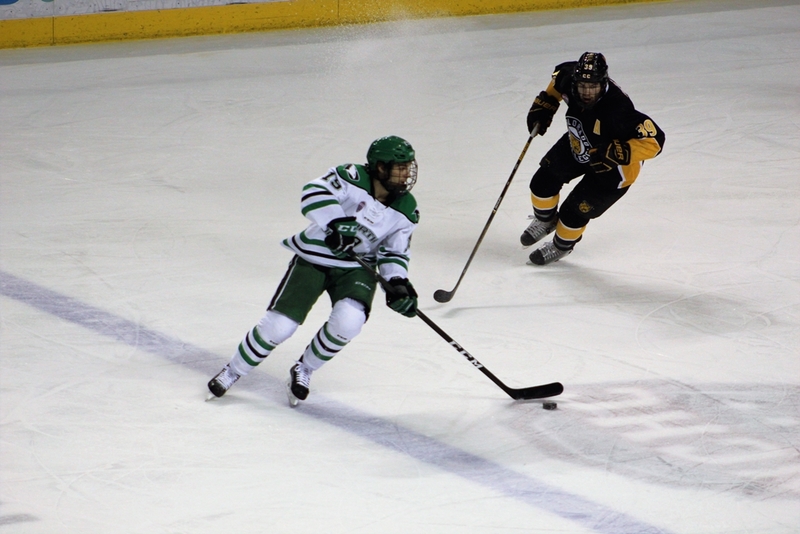 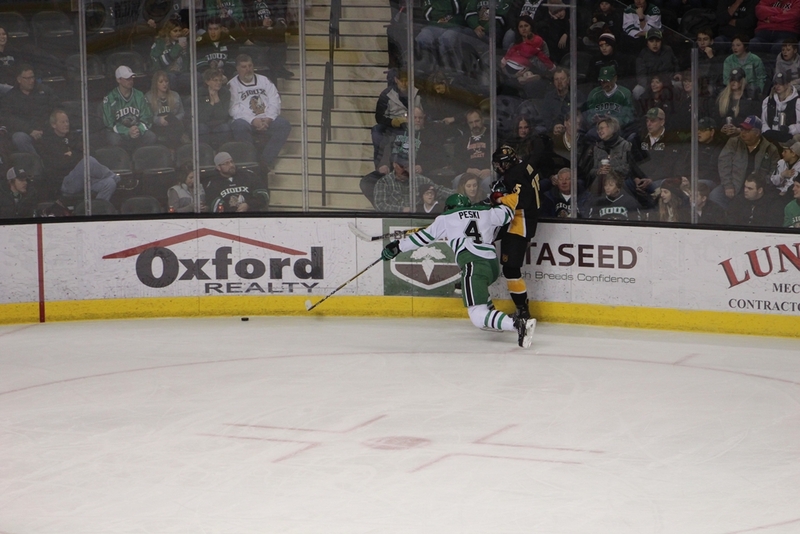 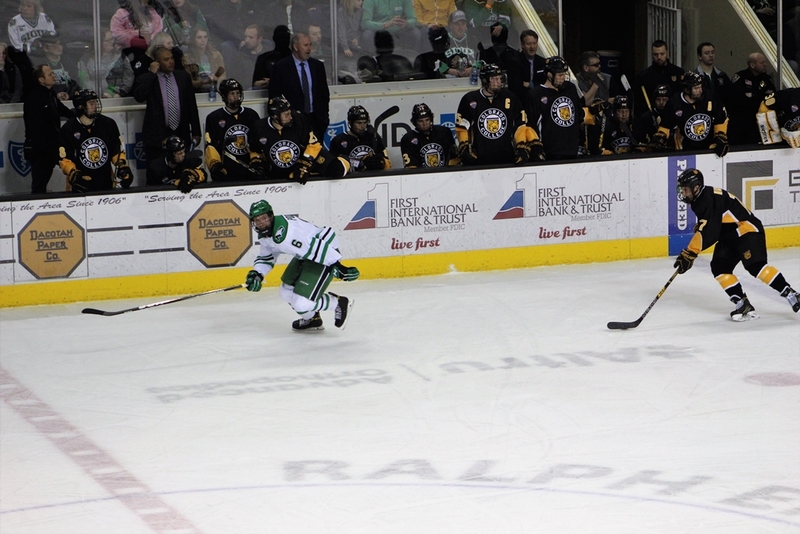 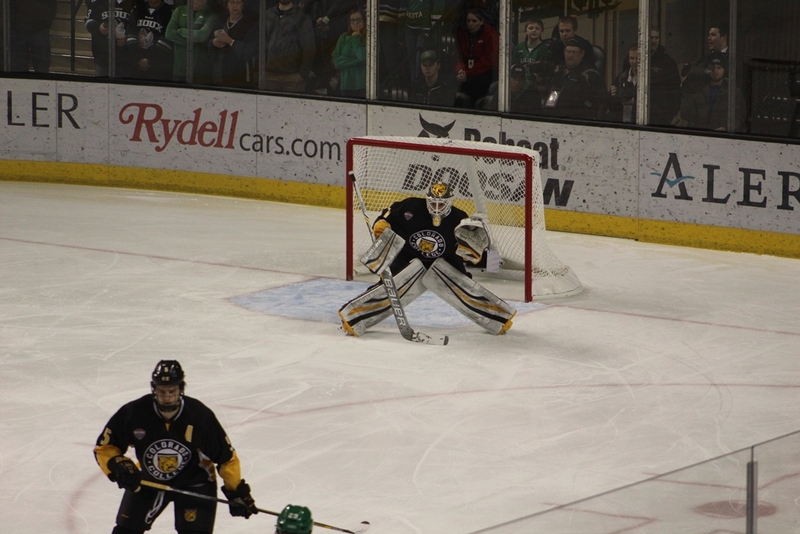 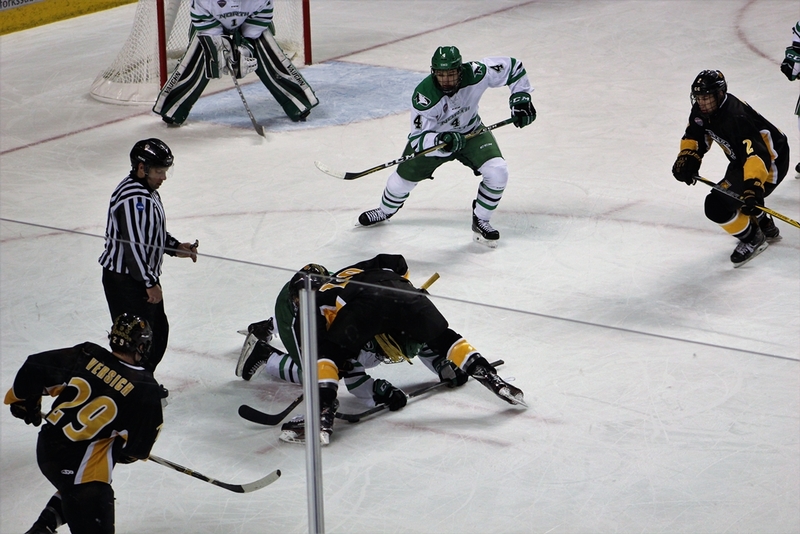 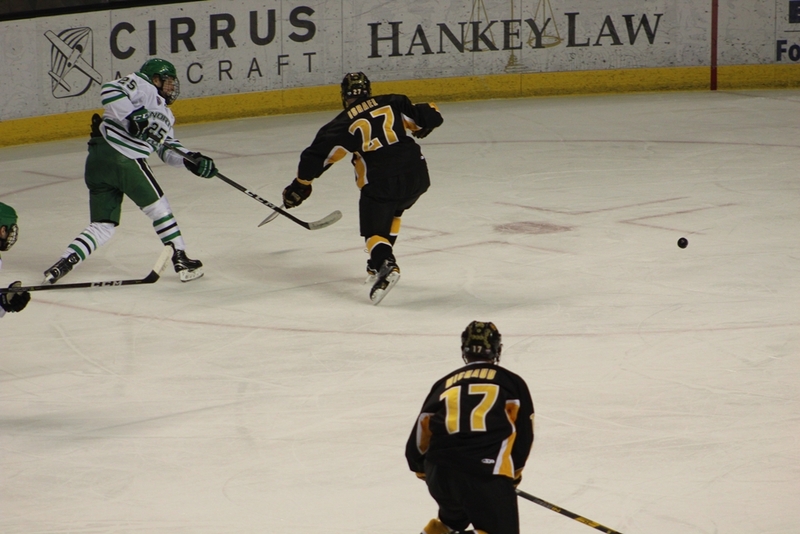 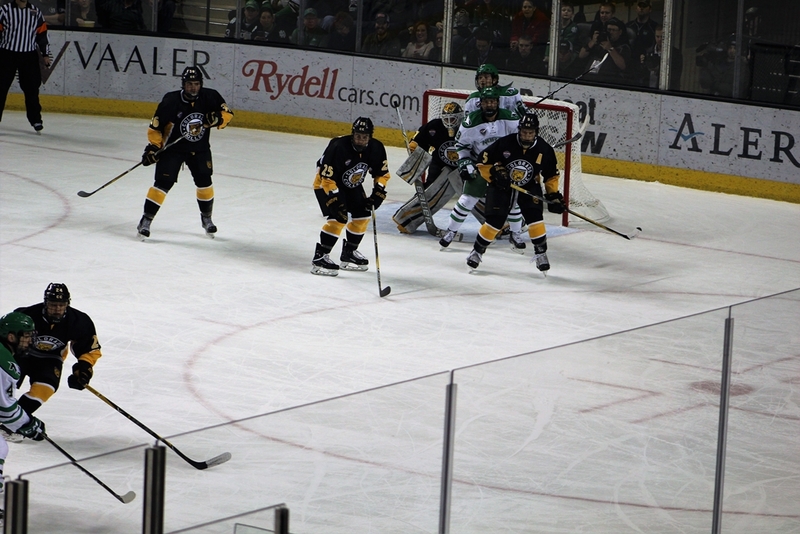 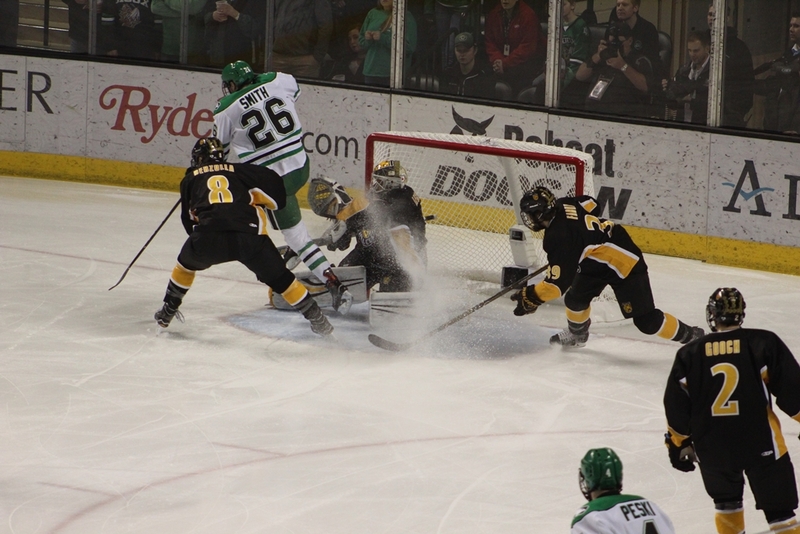 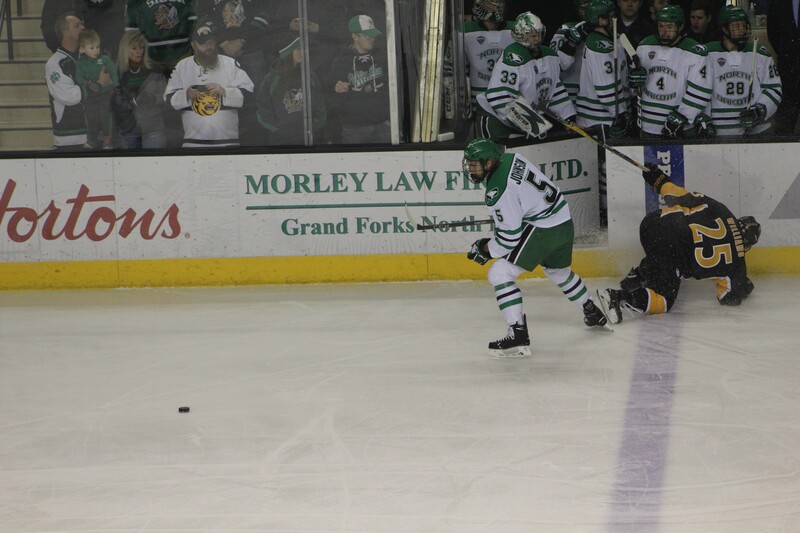 On Saturday night, the University of North Dakota Hockey team beat the Colorado College Tigers 5-1 to gain the split. 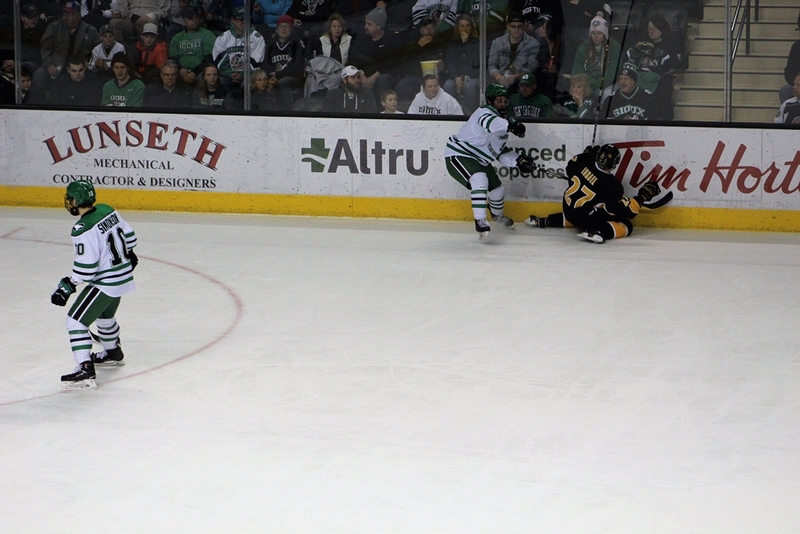 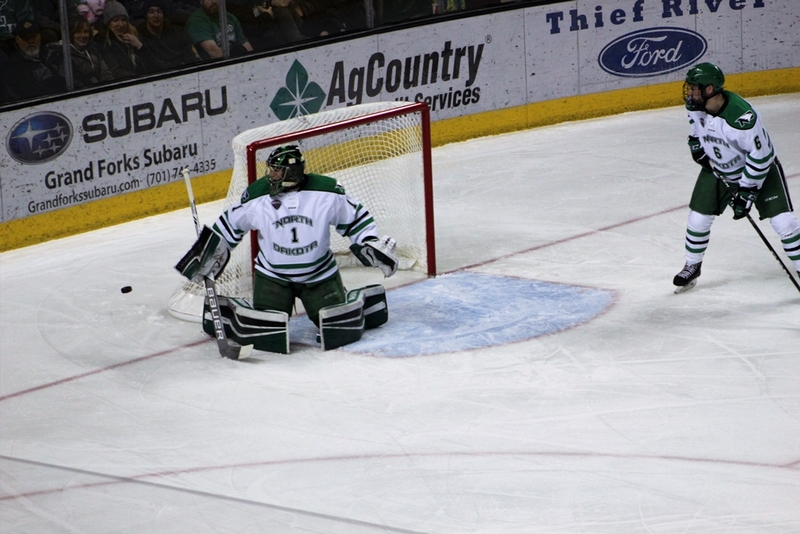 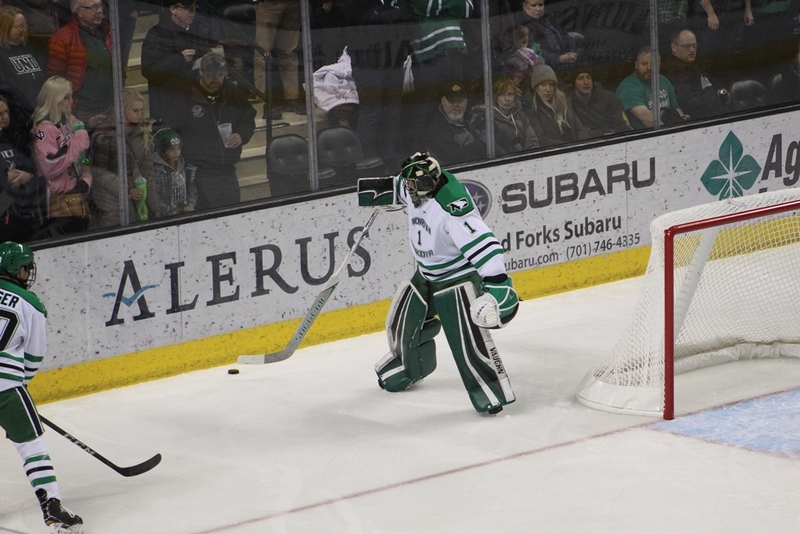 On Friday night, UND went 0-6 against one of the worst penalty kills in Division I hockey. 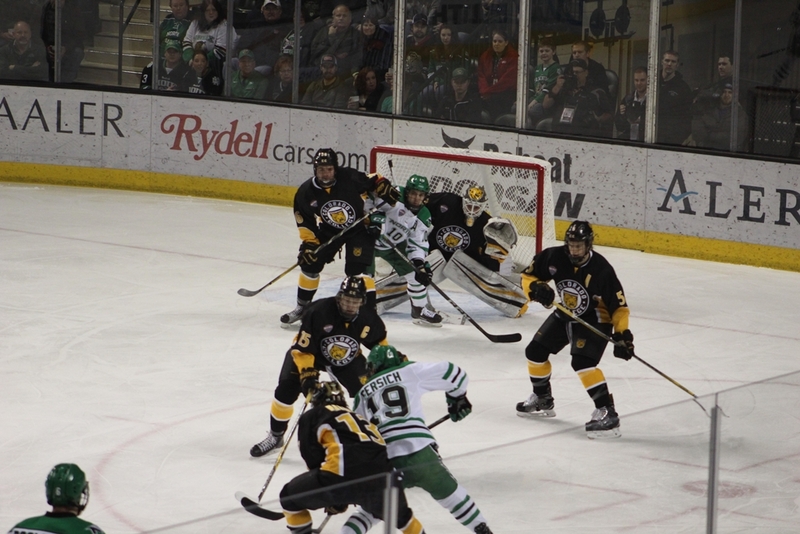 The Tigers entered Saturday’s game ranked 60th out of 60 teams. 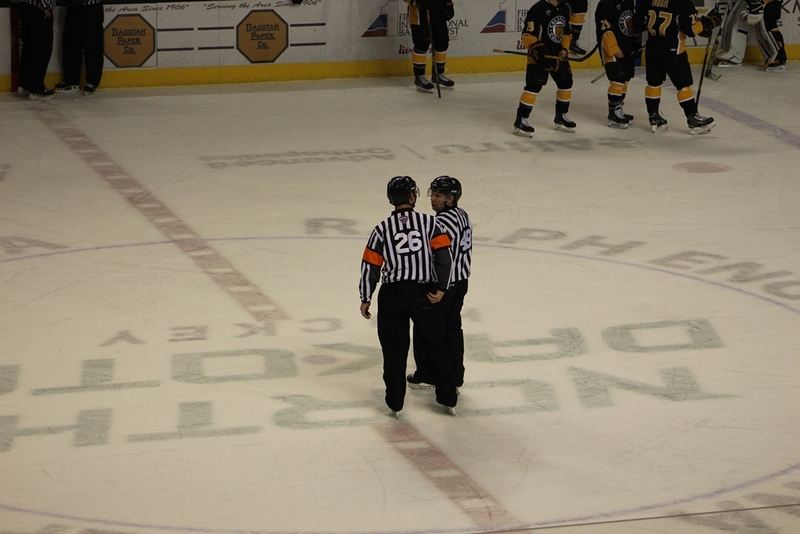 One might suggest that it was the difference in the Friday’s 4-2 loss. 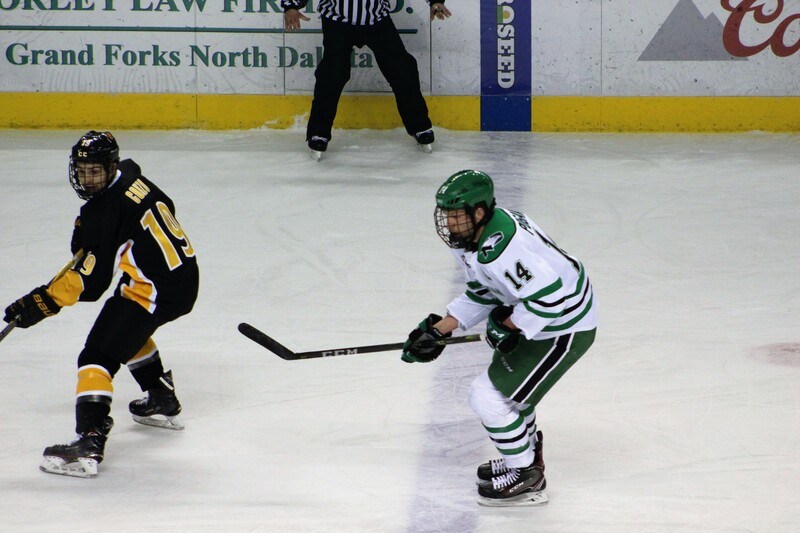 Fast forward to Saturday night, the Fighting Hawks made adjustments to their power play and it paid off. 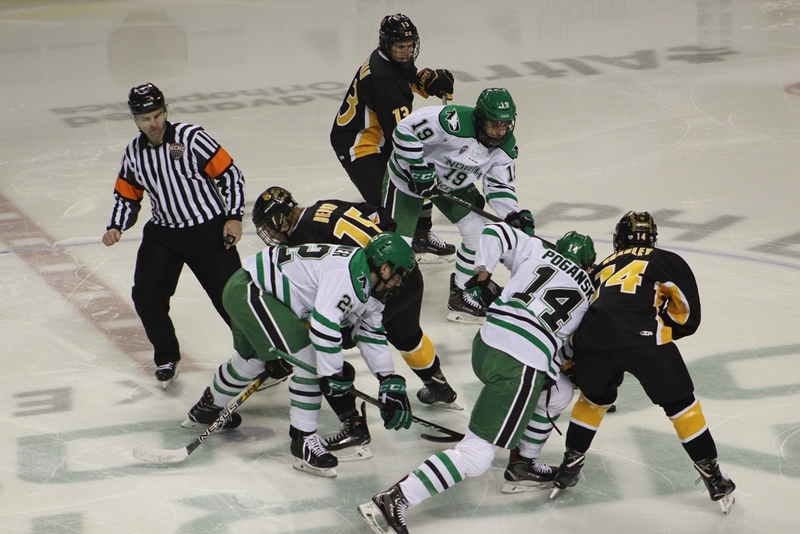 The Fighting Hawks went 2-7 on the man advantage and beat the Tigers 5-1 in an important NCHC conference game. 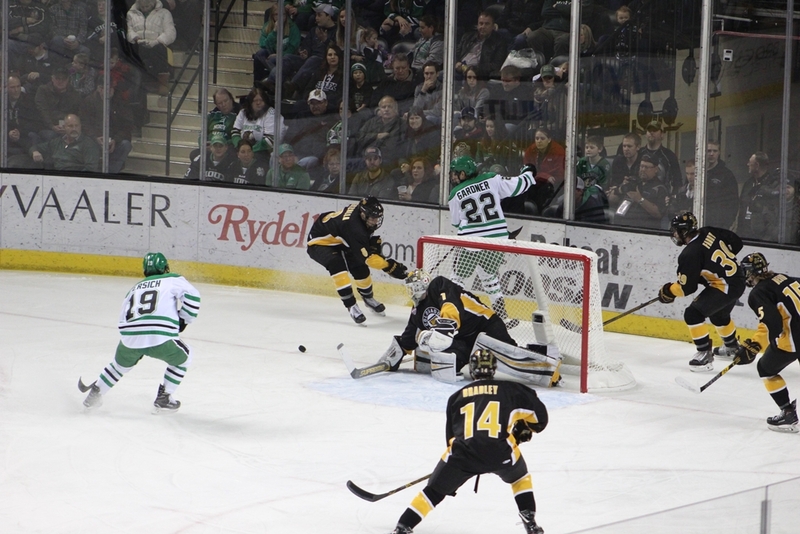 Furthermore, the Fighting Hawks went 2 for 13 on the power play. 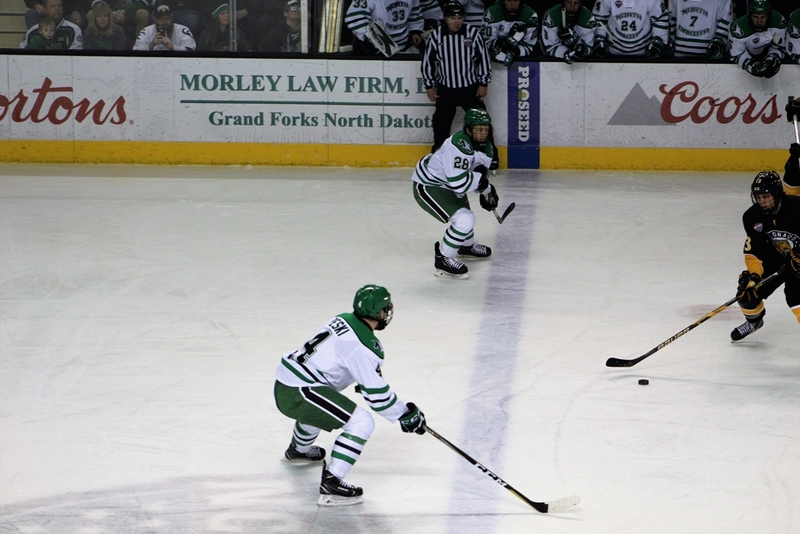 Looking for the silver lining, during the last two series, UND has gone 4-19 on the power play.Three weeks ago, UND’s penalty kill struggled against the Minnesota-Duluth Bulldogs. 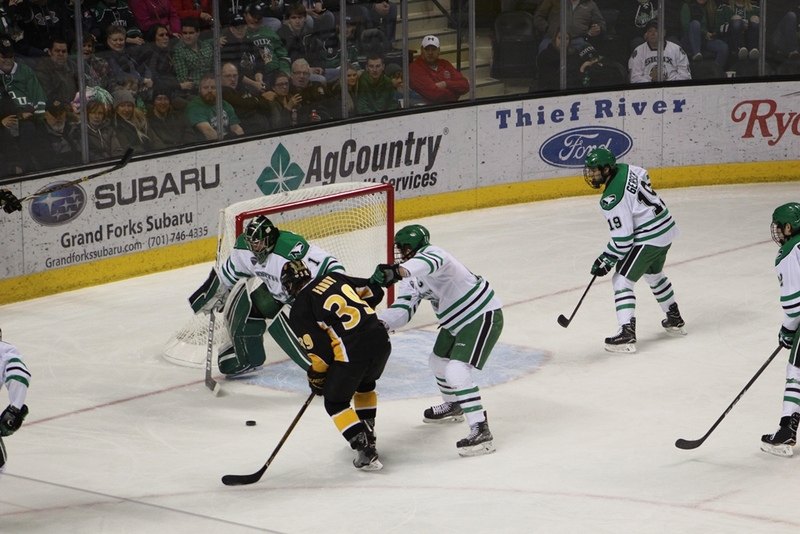 The Fighting Hawks were swept, going 5-for-11 on the penalty kill. 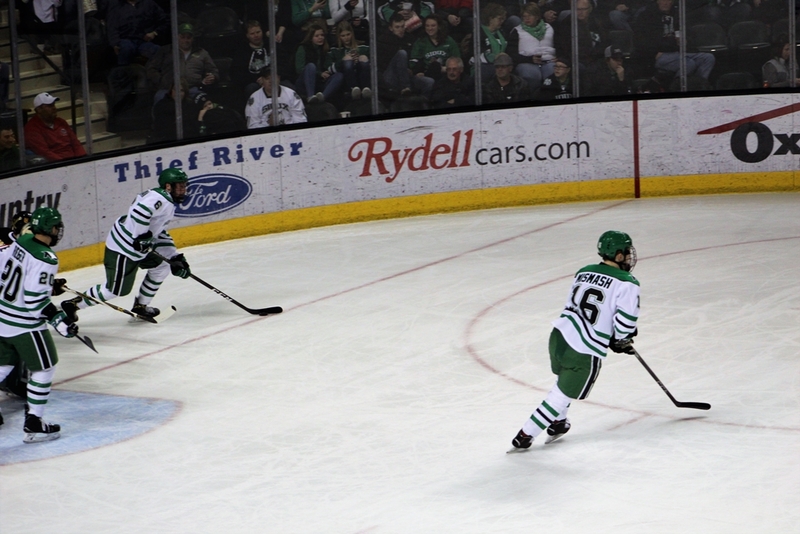 Since that futile weekend, UND has been almost flawless killing 15 of the last 16 opponent power plays. 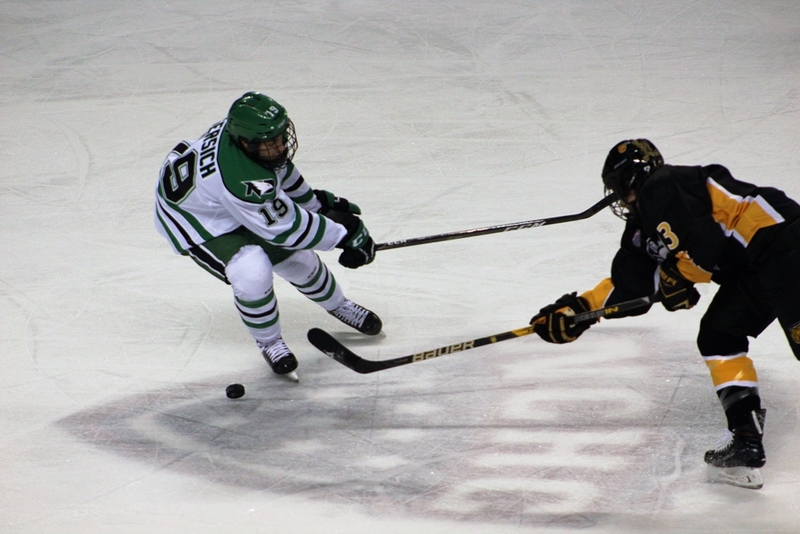 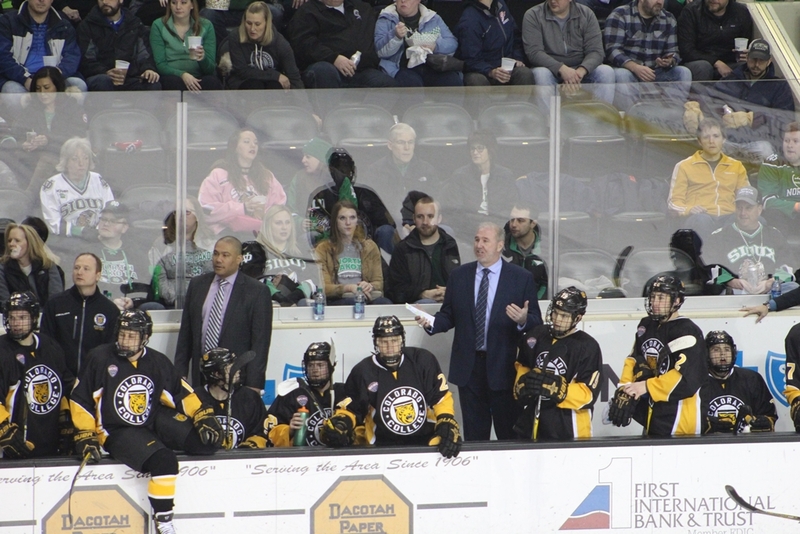 Against the Tigers, the Fighting Hawks killed 9-of-9 power-play opportunities. 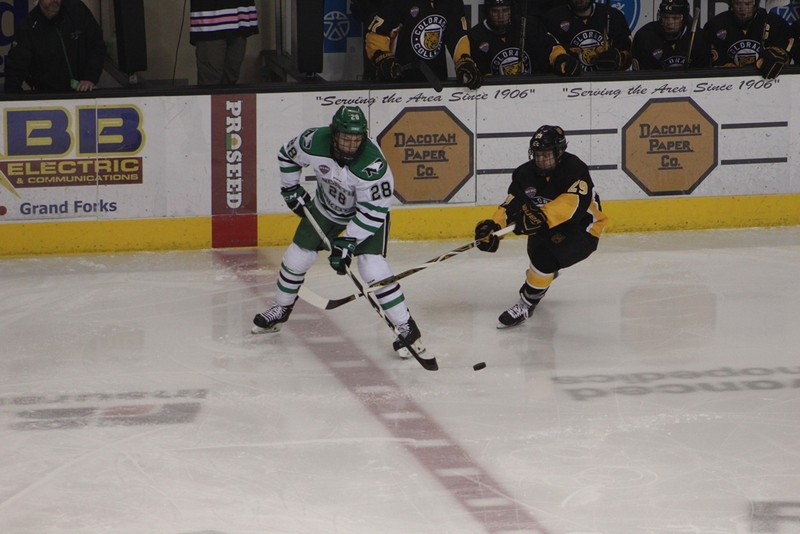 Defensively, UND’s top line of Shane Gersich, Rhett Gardner and Austin Poganski held Nick Halloran, Mason Bergh, and Trey Bradley to a single goal all weekend long. 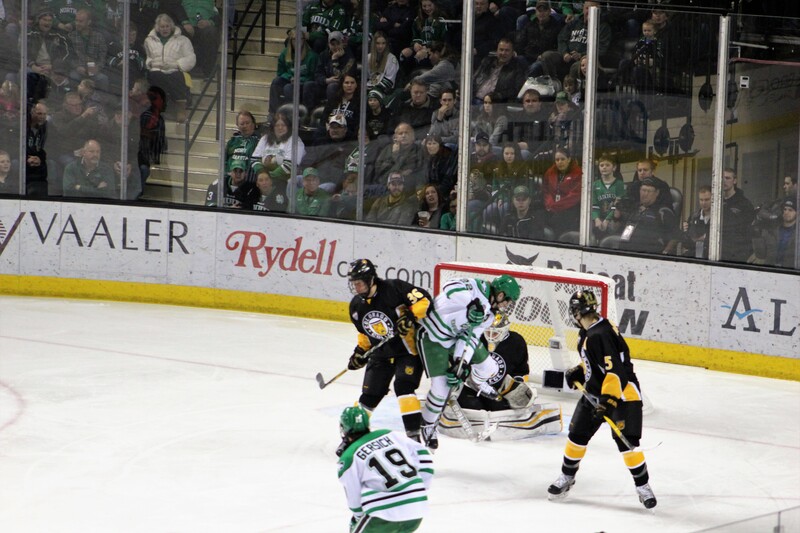 This was the second series in a row that UND has shut down a high flying line. 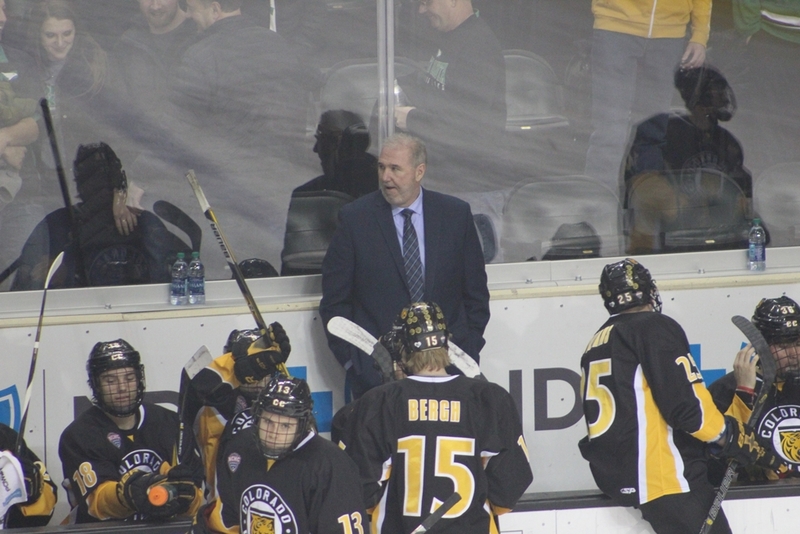 Two weeks ago, the injury-depleted Hawks held Denver’s big three (Troy Terry, Dylan Gambrell, and Henrik Borgstrom) to (2g-2a—4pts). 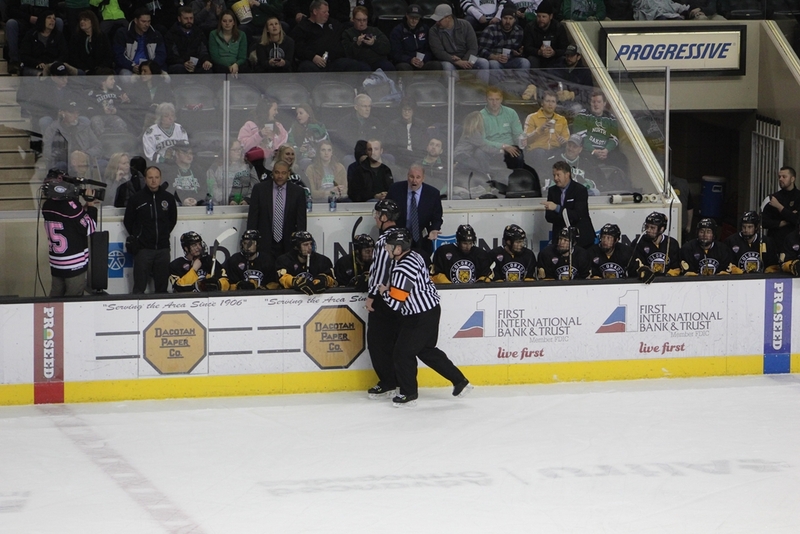 That’s a big accomplishment for any team on any given weekend.